Baked homemade meatballs! These baked meatballs are succulent, meaty, beautifully browned and juicy to the last bite. I probably say this a lot about the recipes I post that they are always a hit, apologies if you think this is unbecoming. Unfortunately, I can’t help it on this one. Any time I cook, and my daughter asks for a second helping or asks that I reserve some for lunch the next day, I know I am on to a winner. Back to these succulent baked homemade meatballs, they are quick to make and can be eaten on its own. In fact, my daughter couldn’t get her hands off the meatballs after I baked them. I will post these baked meatballs recipe paired with tomato sauce later in the month. 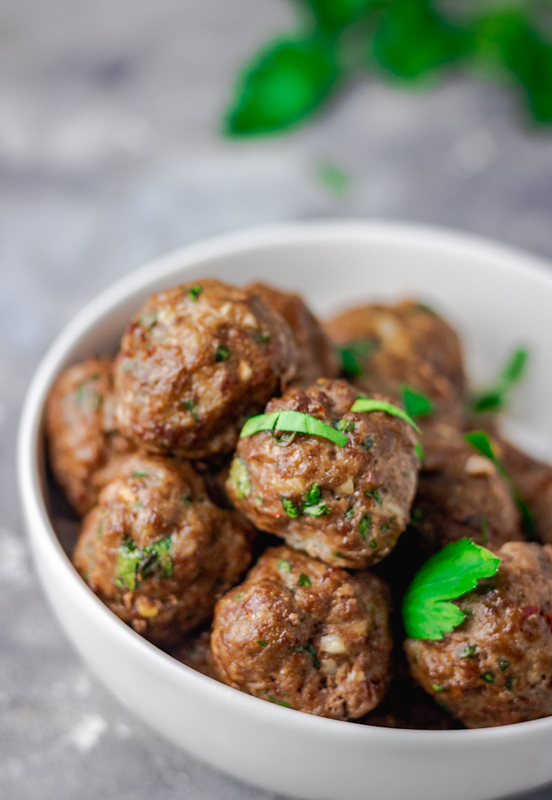 If you don’t fancy eating meatballs on its own, I have other meatballs recipe on the blog. My Nigerian style meatballs recipe is to die for and so is the suya meatballs also. You only need about 30 to 40 minutes to make these baked meatballs. 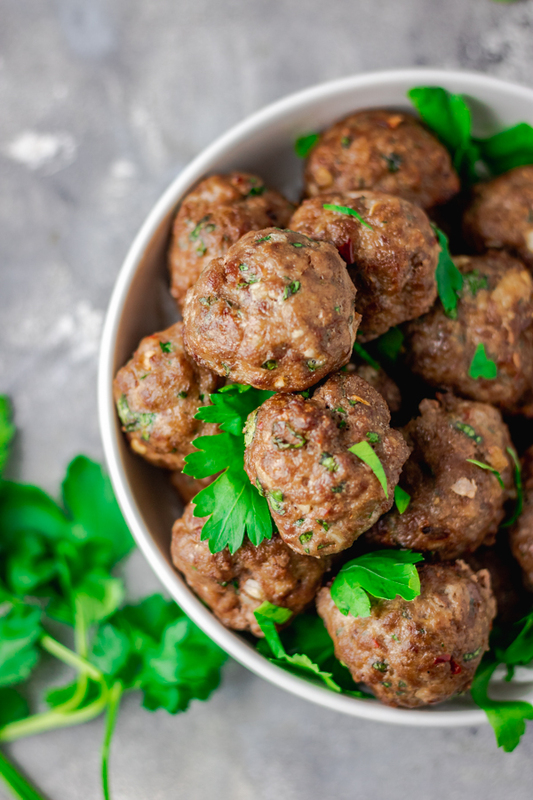 Meatballs are mostly made with half ground beef and pork. I only use beef to make mine as I have got a thing with pork meat. I sound like a hypocrite now because I absolutely love any processed pork products. Baked meatballs can be made ahead of time and they are likewise freezer friendly. 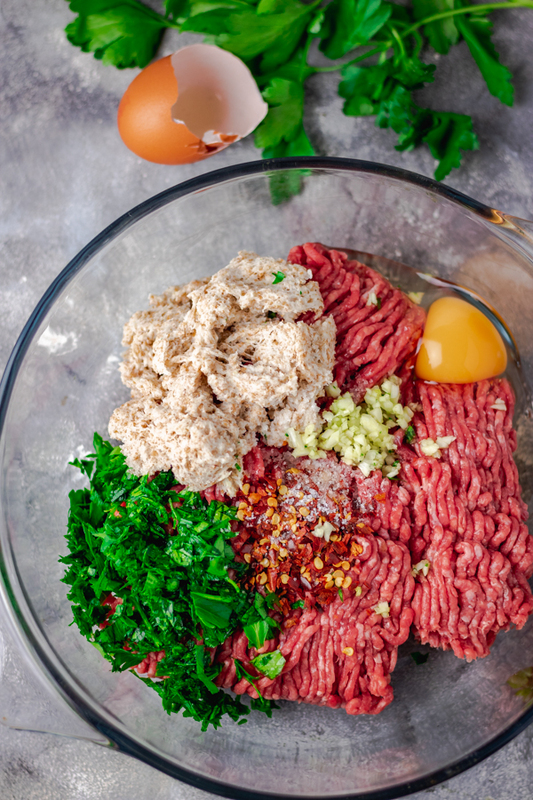 Scoop the mince mixture into your palm and roll to form a small ball. Repeat this process till you exhaust the whole mince mixture. ALTERNATIVELY: you can use ice cream scoop so in that way, you are at least guaranteed equal sizes for the meatballs. Also remember to keep the meatballs small, this way they cook faster and don’t dry out. Bake them in the oven between 15 to 20 minutes. 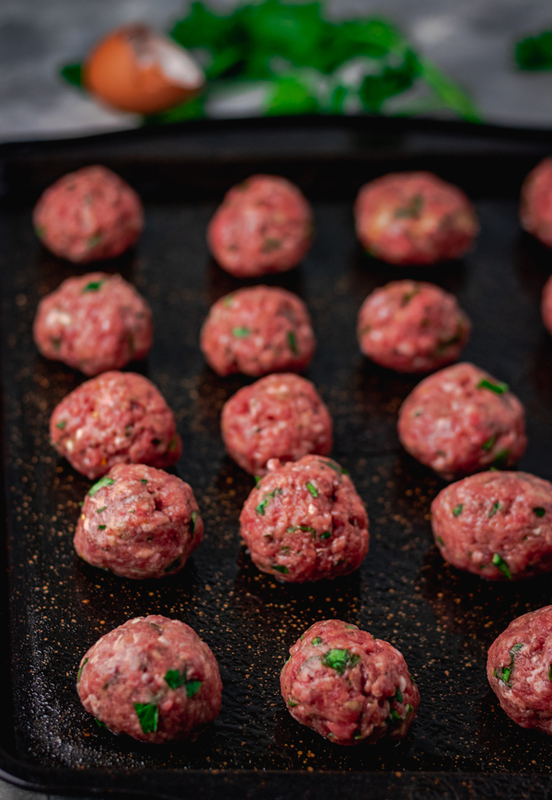 These meatballs keep well in the freezer, Ensure you let them cool completely before storing them in the freezer. Use zip lock freezer bags, that way you can lay them in a single layer to save space. 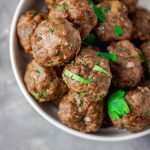 These meatballs are great for meal planning as well as they keep for up to four days in the fridge. Baked homemade meatballs! 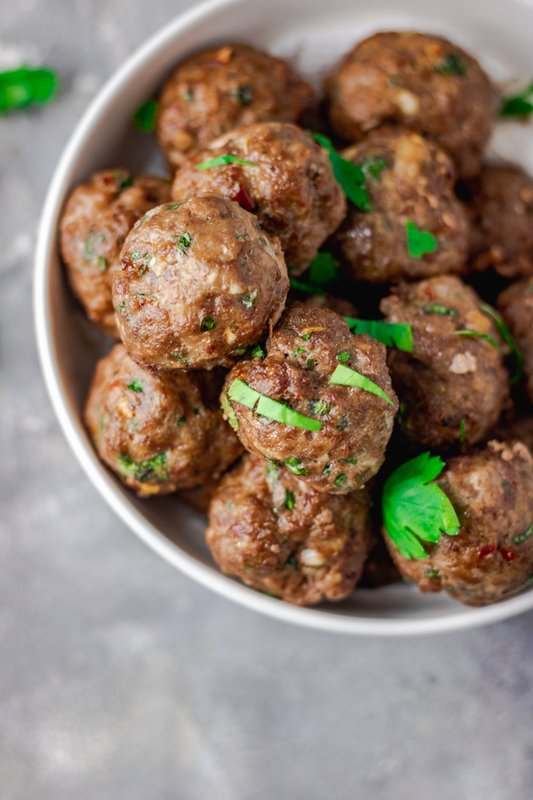 These baked meatballs are succulent, meaty, beautifully browned and baked on the outside but juicy to the last bite.